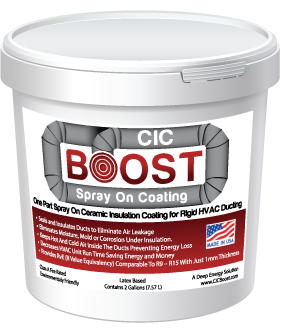 Eliminates Moisture, Mold and Corrosion Under Insulation. 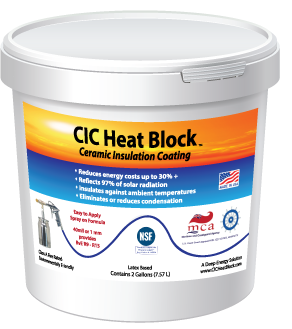 Blocks solar heat and ambient temperature loading using reflectivity and insulating properties. 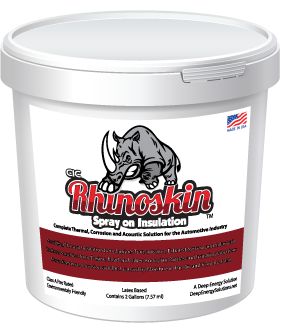 Addresses all three types of heat transfer- Conduction, Convection and Radiation. Rooftop Application on exposed ducting. Coated ductwork in a light manufacturing plant. Coated ducting ready for installation in container-based living quarters for U.S. Navy SEALs.